In the northwestern portion of Lake Superior is one of the least visited of our national parks, Isle Royale. This unique and remote island archipelago preserves 132,018 acres of land. Overall it encompasses a total area of 850 square miles including submerged land, which extends 4 1/2 miles out into the largest fresh water lake in the world. Isle Royale was designated as a national park in 1940, a wilderness in 1976 and most recently as an International Biosphere Reserve in 1980.
International Biosphere Reserves are areas comprising terrestrial, marine and coastal ecosystems. Each reserve promotes solutions that offer the conservation of biodiversity with its sustainable use. The reserves are special places for testing interdisciplinary approaches to understanding and managing changes and interactions between social and ecological systems, including conflict prevention and management of biodiversity.Biosphere reserves are nominated by national governments and remain under the sovereign jurisdiction of the states where they are located. Their status is internationally recognized. While there are 651 biosphere reserves in 120 countries, including 15 transboundary sites, there are only 47 such designations in the United States. While today the human influence in the park is limited by its remoteness and limited facilities, this does not mean that the island has been untouched by man. The geology of the region is similar to the Keweenaw Peninsula on Michigan side of the lake and so attracted both Native Americans and later Europeans to mine for copper. Based on archaeological analysis, the island has the largest concentration of prehistoric mines in the lake Superior basin. Later mining was less successful because of the challenge of access and transportation. The forests on the island were logged right up to the time it became a national park. And the island was once a center of commercial fishing and still has small family owned commercial fishing operation, which is now a favored visitor destination. 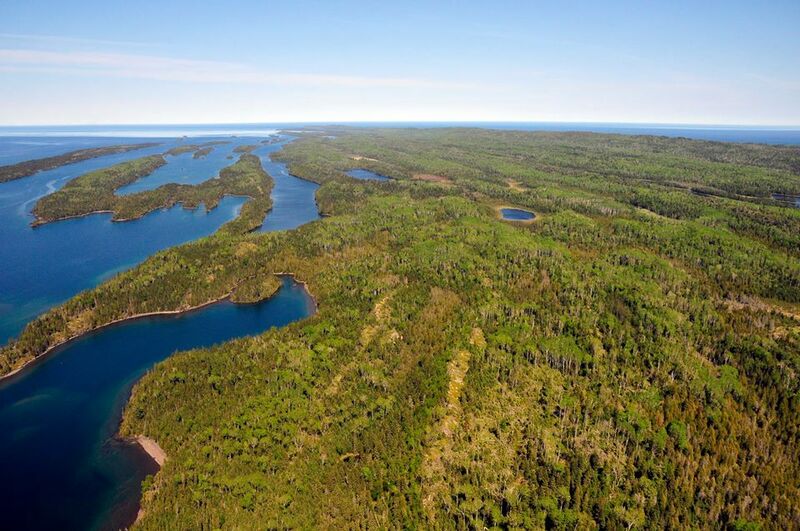 All of these impacts and how the future could unfold for Isle Royale make it an ideal biosphere reserve, a program that seeks to understand sustainable management of both natural and cultural resources. However, for a number of years the biosphere reserve program in the US has been dormant. An initiative to revive the program has been led by a core group of George Wright Society members who last year formed a GWS Chapter, called Biosphere Associates, to help advance the cause. A web site BRinfo: The Biosphere Reserve Information Sharing Portal has been set up with more information, for more information contact Jennifer Thomsen (jennifer.thomsen@mso.umt.edu). Read more at Biosphere Reserves a Second Chance for the United States? 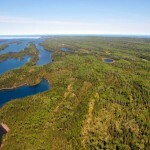 Finally, don’t miss the opportunity to visit Isle Royale National Park. Yes the distance and the boat trip are a barrier, but the reward is a truly outstanding experience.